Take it from the tens of thousands of fans who flock to this outdoor concert series every summer —the Fort Worth Symphony Orchestra’s Concerts in the Garden is not to be missed. Genres range from rock ‘n’ roll to movie soundtracks and country, performed by top-notch cover bands and accompanied by Fort Worth’s very own symphony orchestra. A brief overview of events to mark on your calendar includes The Music of Michael Jackson (June 8), Star Wars and Beyond: A Laser Light Spectacular (June 15-17), The Music of Journey (June 23), and Old-Fashioned Family Fireworks Picnic (July 4). Performances begin at 8:15 p.m. Bring a lawn chair and cooler with snacks and adult beverages or purchase drinks at the event. Like whiskey or bourbon, Thursdays are best served on the rocks. 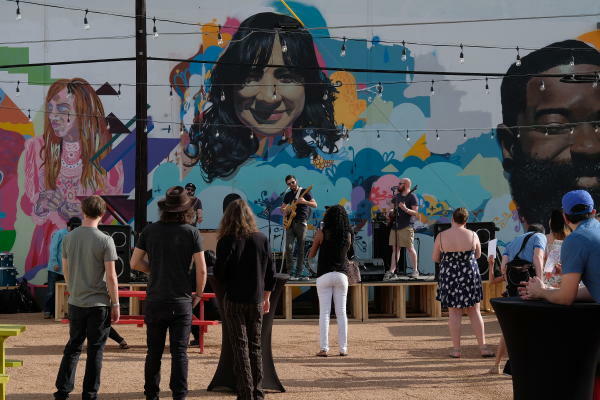 The new summer concert series is the brainchild of The Foundry District, a new community of creative office, retail and restaurants with a large outdoor event space that’s chock full of Instagram-worthy murals. The evening kicks off 8 p.m. in "The Yard,” near Inspiration Alley. The Foundry District promises to have ample picnic tables lined up with arts and crafts. Bands and musicians include The Hendersons and a solo acoustic set by Matt Tedder. The 18-and-over event will also have cold beers and a “large, interactive [space] where attendees can create a temporary artwork in the District. 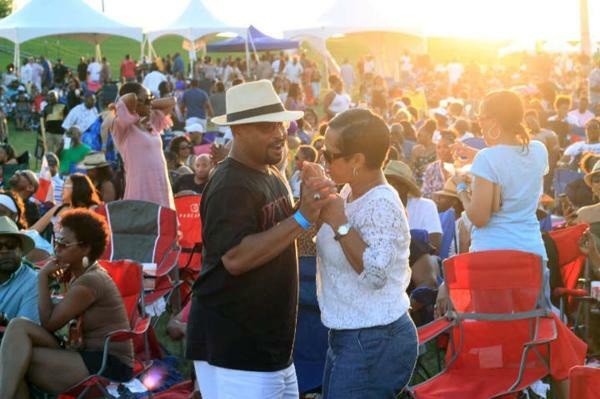 The sounds of live jazz, R&B, and neo soul will fill the air as Jazz on the Trinity returns to the Panther Island Pavilion for a weekend of family-friendly entertainment featuring funk ensemble Cameo, gospel/ hip-hop artist Mali Music, jazz trombonist Jeff Bradshaw, DJ/rapper Kid Capri, and many more. My friend Steve Steward recently described Mañana Cowboy’s new album, "Día Tree," for The Weekly. “Sonically, Mañana Cowboy is reminiscent of Yo La Tengo or a lo-fi version of The Cranberries,” he wrote. The album release party, which includes a performance by Earthchild Imperius, starts at 8 p.m. MASS also hosts a free stand-up comedy series, Laugh Your Mass Off. Part of the Broadway at the Bass concert series, Waitress sets the music of six-time Grammy nominee Sara Bareilles to the story of waitress Jenna, an expert pie make who is seeking a way out of her small town and lackluster marriage. The possibility of escaping becomes a reality when she hears of a baking contest in a nearby county. It’s rock — and so much more. Smooth rockers Vodeo have an upbeat, funk-tinged sound that’s been honed over the years by vocalist Jonathon “pillow talker” Gehringer and bassist Jacob “El Jefe” Pullig. Punk meets surf with the catchy retro riffage of Mean Motor Scooter. Both groups call Fort Worth home. Event page here.